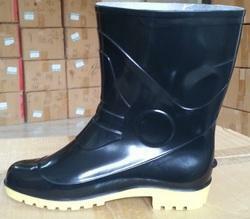 We would like to introduce to you our range of double density, double color PVC Gumboots with & without Steel Toe Cap. 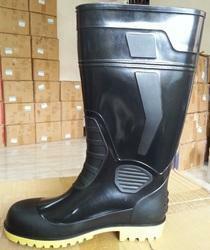 Manufactured using Fully-automatic Moulding Machines imported from Taiwan, and moulds from Italy, through which the output achieved is best quality gumboots in its class and with most competitive prices in the industry. 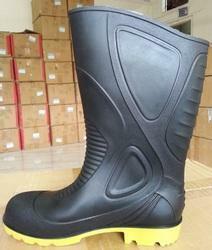 1) Double Density & Double Colour Gumboot providing highest level of safety and comfort. It Is Available Without Steel Toe. First In The Market To Introduce Double Density, Double Colour Technology In This Segment. Looking for Safety Gumboots ?